Carla Griffin grew up in Boise, Idaho and moved to San Jose in 1963 to complete her education at San Jose State University, graduating with a B.S. in Accounting and Finance in 1965. Following graduation, Carla began her corporate financial career in the semiconductor industry working at Philco Microelectronics, Fairchild Semiconductors and Advanced Micro Devices. After successfully being appointed Corporate Controller and working on the team which took Advanced Micro Devices public, Carla “retired” in 1975 to begin her long successful “entrepreneur” career. Her real estate career began in 1978 and she has worked in all areas of real estate: lending, residential real estate, commercial real estate, business brokerage, mergers and acquisitions, and new home sales. 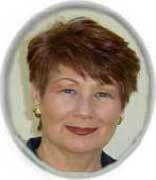 Over the past 40 years Carla has earned numerous achievement awards and worked for many non-profit organizations. Carla is a licensed Real Estate Broker in the State of California, Certified Senior Real Estate Specialist (SRES) and Certified Residential Specialist (CRS). Disclaimer - This blogger does not assume any responsibility for the accuracy of this information. Copyright Notice - any information on this blog may not be copied or used without the written permission of the Blogger. Site Optimization by MPThree Consulting Inc.